Larry Norman was far from perfect. I did not know it at the time (and neither did he), but his theology reflected a lot of the poor scholarship and misguided piety available to many Christians in those days. In his song, “I Wish We’d All Been Ready,” Larry controversially interpreted Matthew 24:36-44 as a proof text to support the concept of a pre-tribulational “Rapture” of the church, contrary to what the majority of biblical scholars today would say about that particular passage (though, admittedly, some scholars do find a pre-tribulational “Rapture” elsewhere in the Bible). At other times, he talked about not needing to go to church, because he went to church “in his heart.” But despite some of the weird things he would sometimes say, just to get underneath someone’s self-righteous skin, Larry Norman knew Jesus to be THE way to God’s Heaven. Larry was quirky for sure. At the beginning of one concert at Eastern Mennonite University, Larry started to get into an argument with the sound guy, over the suppressed volume he was being given for his guitar. Tension filled the concert hall. I sat on the edge of my seat, wondering, “What is this guy going to do next?” After a few songs, he went into a monologue, taunting his Mennonite hosts for their pacifist beliefs. You simply could not keep Larry Norman in any box. But when I met him backstage that night, after that concert, he had the heart of a pastor. I shared with him some of my frustrations and challenges I had as a Christian, as I was then a college student, attending a nearby secular university. How do I live out my faith, among intelligent, non-believing students and faculty, surrounded by evangelical churches in the community, that seemed oblivious to what was going on in the halls of academia? He was attentive, listening to what I had to say, and he encouraged me to stick with following Jesus. As a young believer, I needed to hear that. Nevertheless, mainstream rock and roll did not know what to do with Larry Norman, as they had no category for such an outspoken Christian. After being exiled by his secular record company, Larry Norman started his own record label, Solid Rock Records, where a new generation of bands and songwriters got their start in contemporary Christian music: Randy Stonehill, Mark Heard, Daniel Amos, and Sheila Walsh, just to name a few. It is hard to imagine how folks, like Chris Tomlin, Mercy Me, and Hillsong worship, could do their thing today, if it had not been for Larry Norman paving the way. However, Larry Norman eventually “overheated,” as biographer Gregory Alan Thornbury puts it. By the time of his 1981 release of Something New Under the Sun, Larry’s artistic output had plummeted. Thornbury, the president of the Kings College, in New York City, recently published an authorized biography of Larry Norman’s life, Why Should the Devil Have All the Good Music? : Larry Norman and the Perils of Christian Rock. The “father of Christian rock” could be hard to get along with. Nearly all of the music artists he helped to get started had a falling out with him, at some point. I have had conversations with insiders in the contemporary Christian music movement, who lamented about Larry Norman being a “control freak.” I saw Larry Norman in concert four times, dragging as many friends as I could to go see him. But the last time I saw him in the late 1980s, he only sang one-third of the time, spending the rest of the concert on stage rambling on about topics that made very little sense. It did not help that in 1978, he suffered an injury on a United Airlines flight, when a ceiling compartment fell on his head, that might have triggered a bipolar disorder. In 1992, he survived a major heart attack. He went through two divorces. He lived much of the rest of his life near family, and stayed out of the public and church eye, except for maintaining a newsletter, that repeatedly chronicled his declining health condition, and he died in 2008. He maintained his faith to very end, but as an artist, Larry Norman just seemed to drift away. One conflicted fan, David Di Sabatino, put together a documentary film, Fallen Angel, to survey the Christian rock celebrity’s life. David Di Sabatino’s story was that of a disenchanted, formerly avid admirer, who eagerly wanted Larry Norman to be and do something, for which the songwriter could not deliver upon. Much of the film was not flattering. Part of the story was about Larry Norman fathering a son, through an out-of-wedlock pregnancy, during a tour in Australia. Larry Norman himself did not cooperate with the documentary’s filming, and after his 2008 death, the Norman family rejected David Di Sabatino’s work as a character assassination. A friend of the Norman family, Allen Flemming, put up “The Truth About Larry Norman” website, to counter the claims in Fallen Angel. 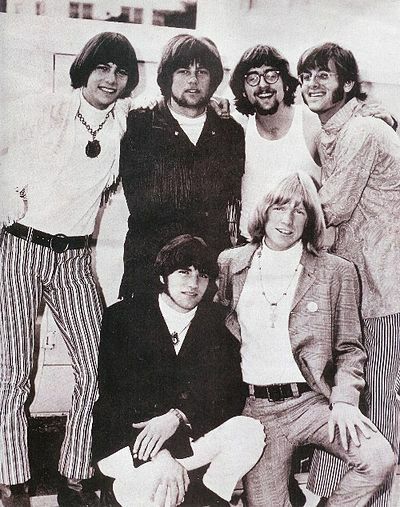 Larry Norman (at the lower right) with his hit band, People!. “I Love You” was the hit song. I was shocked by the claims made by David Di Sabatino, but who was impartial enough to analyze the truthfulness of those claims? Either way, my confused reaction to Fallen Angel exposed a weakness in me that I had to deal with. Larry Norman had become my idol, and I needed to repent of that idolatry. Yes, there was his eccentric behavior, the string of broken relationships, and his isolation from the wider Christian community, whether it was self-imposed or due to the inflated expectations that younger Christian artists had of him. That much is clear. That isolation alone should have been sufficient for me to have some caution concerning Larry Norman. Other brilliant songwriters, like one of Larry’s protégés, Mark Heard, have had the same isolationist hang up. Part of this has been the evangelical culture’s problem, in supporting the arts. But it was also partly Larry Norman’s problem, too. The desire to want to have a hero, who can not fall, is a temptation that is difficult to set aside. Admirers of Jimmy Swaggart had their own reckoning in the late 1980s, along with other television evangelist scandals. But there are others, in the Larry Norman “school of cool,” who have had their own set of problems. Some have had stories that were undoubtedly far worse: I was devastated when I learned that Christian comedian, Mike Warnke, another popular figure in the early 1980’s evangelical culture, lied about the key events in his Christian testimony, as described in his 1972 book, The Satan Seller, where Warnke claimed to be a former satanic high priest. It took twenty years before the evangelical Christian media would expose the falsehoods. Journalistic investigation showed that Warnke had invented large chunks of his testimony story, to enhance his credibility as a supposed expert on “satanic ritual abuse.” I still have a set of comedy vinyl albums, by Warnke, that I pushed on my friends, as they were extremely funny. Now, I do not know what to do with these LPs. Accountability among Christian celebrities has sometime proven to be quite elusive. Thinking about Larry Norman over the years has only shown me how tempting it is to elevate another human being, to be essentially in the place of God. It is far too easy for anyone, Christian or not, to wrongly place someone else on a pedestal, where they can not stand indefinitely. Instead, what I needed to learn is that I must put my faith and trust in Christ, and Him alone, and not in a music celebrity. This is true, not only of personalities in popular culture, it also includes our churches. Church leaders, as well as popular song writers and comedians, can make easy targets for exposing our idolatries. As traditional denominational structures crumble, the evangelical movement has been rapidly giving itself over to a celebrity dominated culture. Performance as a preacher is often more highly valued than adherence to doctrinal, Scriptural truth. Charisma in leadership has sometimes served as a mask to hide a deadly tendency to micro-manage, and foster an atmosphere of spiritual abuse. I had done this with Larry Norman, substituting a form of “intimacy” that only properly belongs to God alone. Evangelicalism has all too often exchanged the careful examination of the truth, in the light of Scripture, with the fake intimacy of a personality cult. We all must resist the tendency to place a pastor, a favorite Bible teacher, or even a theological system, above our devotion to Christ. Jesus, and Jesus alone, is worthy of our praise and worship. 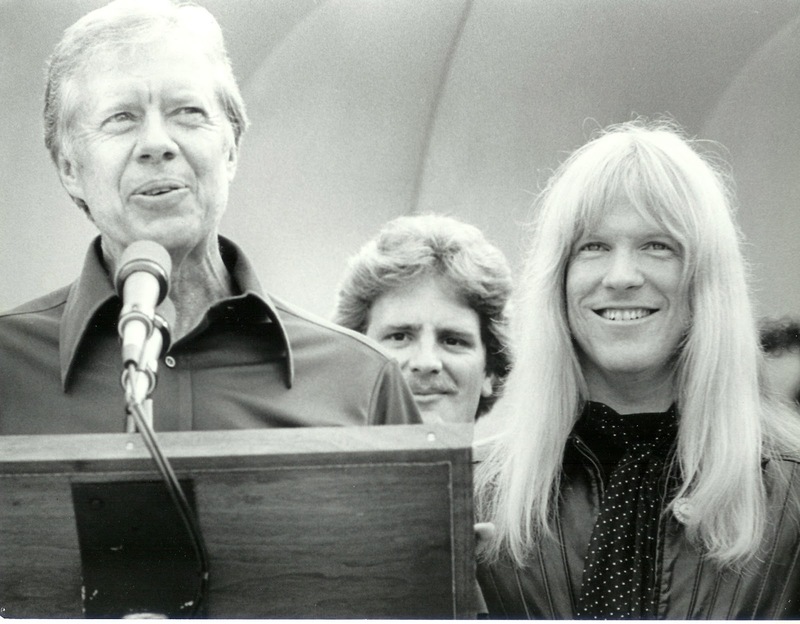 Larry Norman at the White House, in 1979, with then President Jimmy Carter. Carter’s staff told Larry not to sing about anything “political.” So in classic Larry Norman style, with the President attending, he sang “The Great American Novel.” What a killer song. 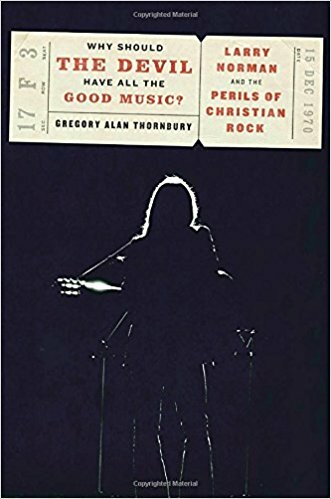 I have been avidly reading Gregory Alan Thornbury’s latest book about Larry Norman, and it is riveting. It is much, much more than a biography of a musician. It is also a story about evangelical Christianity in American culture, from a 10,000 foot view, surveying the past fifty years or so. An interview with Thornbury at the Gospel Coalition tells the story of how the book came about. In a recent Washington Post article, Thornbury describes how a young Mike Pence, who would later grow up to become the Vice President of the United States, committed his life to Christ, at a Christian concert festival, featuring Larry Norman. Thornbury was given full access to Larry Norman’s personal archives, unlike David Di Sabatino. Instead of relying on second-hand stories, of memories from forty years ago, Thornbury poured through hundreds of letters that the Norman estate kept, that deal with Larry Norman’s life and the controversies that dogged him. As a result, as some early reviews indicate, Thornbury’s book seeks to offer a more measured and reflective look, that moves past the bitterness between the David Di Sabatino and Allen Flemming controversies, shortly after Larry Norman’s death ten years ago. I do wonder, though, if Thornbury was as thorough as he could have been. Controversies aside, Larry Norman looms large as an historical, cultural figure, regardless of what people think about evangelical Christianity. He embodied the ethos of the “Jesus Movement” of the late 1960s and 1970s, before the movement got effectively hijacked by the “Moral Majority,” in the 1980s, when the “culture wars” became permanently embedded in the American vocabulary. Before evangelical Christianity got equated with the “Religious Right,” there was Larry Norman. 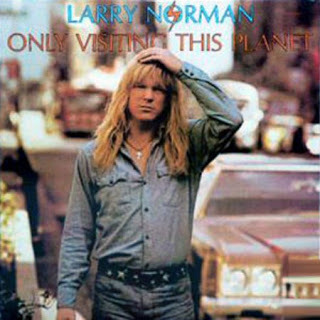 In many ways, Larry Norman was also a man way, way ahead of his time. Thornbury believes that Larry Norman was “the forerunner of the millennial generation’s attitude toward religion.” That is both a good thing, and a bad thing (but probably more bad than good). Thornbury is the chancellor of a Christian college, so if you care about the spiritual health of the future generation of the church, it is worth paying attention to why Thornbury says this. If you want to understand why so many young people today can become interested in Jesus, and yet remain completely alienated from organized, evangelical Christianity, and its often stereotypical obsession with right-wing politics, a study of Larry Norman’s life would prove quite revealing. Larry Norman was also a musician’s musician, but a man who was able to integrate his Christian faith in what he did, without flinching. A whole slew of contemporary artists, ranging from Guns-n-Roses, to the Pixies, to Bono in U2, all look up to Larry Norman as an artistic pacesetter. It is a testimony to Christ, and it brings me into the very heart of worshipping the Lord and Savior Jesus. Nowadays, contemporary Christian music has become more mainstream, but it has pretty much (d)evolved into only providing worship music for the church, where just about every church band has a guitar player, who wants to sound exactly like “the Edge,” of U2. While the stigma against “rock music” has largely abated since the 1970s, the lyric content of many pop-Christian songs is still often measured in terms of “JPM’s” (the number of “Jesuses-Per-Minute”). This seeming inability of the evangelical church to adequately provide the theological resources and support to enable Christ-centered, secular-impacting, artistic expression, gives us a glimpse into what Larry Norman was facing, over forty years ago, in a very different world. For a single man, who sought to navigate such treacherous waters, largely on his own, without some failures along the way, is inconceivable. But one thing is for sure: God used an extremely gifted, yet still imperfect artist, like Larry Norman, at least for a time, to help a lot of young people, like me. He made some great music. Because of Larry Norman, I gained a greater confidence in handling the Gospel, and in lifting up the name of Jesus in a lost world. For that, I will be eternally grateful for the legacy of Larry Norman. This entry was posted on Monday, April 30th, 2018 at 6:00 pm	and tagged with Larry Norman and posted in Witnesses. You can follow any responses to this entry through the RSS 2.0 feed. I finished the book on an airplane flight…. Probably the most depressing thing for me was to read about how Larry Norman’s dream for a Christian artists colony collapsed when the personalities and egos of the various artists at Solid Rock Records brought them into sharp conflict, where Christians were suing other Christians, something forbidden by Scripture. The gossip and rumors only exacerbated the problem. Sadly, Larry Norman’s idealism got the best of him. It is an idealism that I have shared, but there is a lesson in realism that I have learned here. Larry Norman had a bit of a love-hate relationship with the evangelical church. It would have been better if Norman had simply accepted that the church is what it is, warts and all, understanding that the community of believers is God’s purposed (yet flawed) vehicle to penetrate the world with the Gospel. By standing so often against the grain of the church, as much as he did, he exposed himself to a kind of isolation that got him into the type of troubles, that could have been avoided, if he had been part of more healthy form of Christian community. Admittedly, this is more easily said than done, but considering the consequences for NOT investing more in good, Christian fellowship, Larry and his fellow artists’ colony associates could have done much better. (a) Thornbury really did not explain why his second marriage to Sarah failed. It sort of seemed out of the blue, as compared to Norman’s issues in his first marriage to Pamela, which were thoroughly discussed. (b) Thornbury could have reached out to Randy Stonehill and the folks with Daniel Amos more, to get their input.